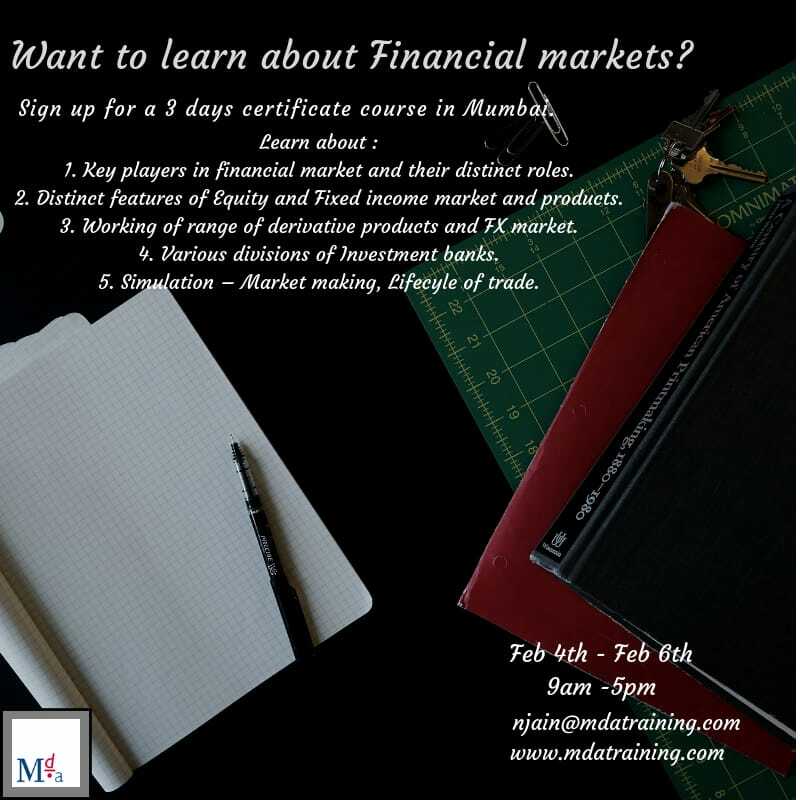 Sign up for 3 days certificate course in Mumbai. 1. Roles of various players in financial market. 4. Simulations - Market making, Bond is right and Lifecycle of a trade.